What’s Next for H-E-B and Central Market in Dallas? Are Frisco, McKinney and Allen the country’s best real estate markets? 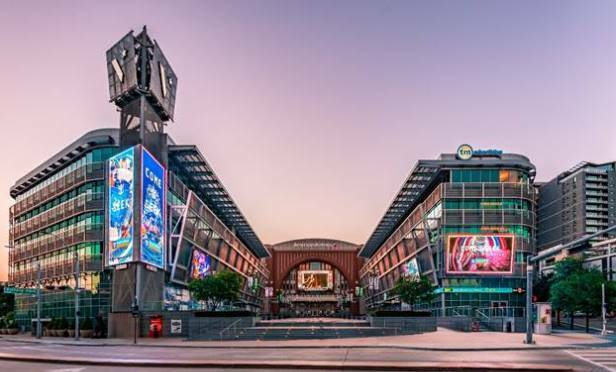 Is the office market in Uptown Dallas headed for a glut? See how Rubicon made it to the Top 5 Local Tenant Rep Firms in Dallas with 12 Brokers! Austin vs. Dallas Retail: Which City Comes Out On Top? Who Are The Top 10 U.S. Online Retailers? View the flyer for my latest Tarrant County listing! Amazon is launching a better version of the post office in cities around the country. Here’s what it’s like to use. Below are a few articles that I found interesting this week. Hope everyone had a safe and fun 4th of July!! Have a great weekend. “The retailer filed for Chapter 11 bankruptcy protection in September and officially filed for liquidation in March. As a result, more than 700 Toys R Us and Babies R Us stores across the United States will be closing for good by Friday, June 29. The store has been saddled with debt since a leveraged buyout in 2005 and struggled to keep up with competitors. “The Federal Reserve on Wednesday announced that it decided to raise interest rates, and it signaled plans to do so more times than expected this year. In a two-day meeting, the Federal Open Market Committee voted to lift the target range for the federal funds rate by 25 basis points to between 1.75% and 2%. In a few hours, several banks will respond by raising their prime lending rate, the starting point of borrowing costs for nonmortgage loans like credit cards and auto loans. The co-founder of By Chloe, the chain that wants to be the McDonald’s of vegan fast food, just opened a new restaurant. Here’s what it’s like to eat there. Another icon closes… Hudson’s Bay has had their struggles in the past few years and they are the latest of the big chains to close an iconic store(s). What I find most interesting about the 5th Ave store closing, is the WeWork acquisition. Shared work space is on the rise and this is just one of the latest buildings to be turned over! The summer is officially here and Sears is at it again closing 72 more stores. While it seems that big-box retail is undergoing similar pressure throughout the nation, I disagree. Old big-box retailers are starting to close their doors because they can’t keep up with what customers want. In my eyes, Sears was never an exciting consumer expereience and their online game isn’t well advertised. My guess, brands like TJX’s newest concept Homesense will start taking over some of these big-box vacancies and we will see a lot of regrowth in the larger retail space! Are you heading to ICSC Recon Las Vegas this year? If so, shoot me an email, TLepore@RubiconRep.com, and let’s sit down! “The online giant visited all 20 finalist locations, a move that indicates the company is closing in on the site of its new headquarters, reported NBC News. There is no indication if list has been narrowed down, or if there is a leading contender, according to the report. AT&T’s Whitacre Tower Is Up For Sale And it could fetch more than $250 million. New developments are exploding throughout the Metroplex and there is no end in sight! Developers are buying up land everywhere to make space for new retail and office. Check out my latest listing in Dallas, this parcel is zoned CS and sits on a strong hard corner, perfect for new retail! “There are about 50 shopping centers that are in some stage of development in McKinney, according to the city’s office of Development Services. “Amazon will begin delivering packages to Volvo and GM cars, even when drivers aren’t around. The service will be free for Amazon Prime members with an active GM OnStar or Volvo On Call account and is available in 37 U.S. cities and surrounding areas. The companies have plans to expand the service to more locations. “Isaac Larian placed a $675 million bid for 200 of the remaining 735 Toys “R” Us locations in the United States, and almost all of more than 80 locations in Canada. Toys “R” Us is still considering other offers, but it’s not clear whether those would keep US stores open. Below are a few articles that I found interesting this week both locally and on a national scale. As you can see below, there is a lot happening in the Retail sector this week and this year. Big box retail is being re-tenanted and a lot of cool projects are coming about from this. The DFW market is still on fire and Collin County sees no signs of stopping. Downtown Dallas is getting a recurrent face-lift and I believe this will continue. We find ourselves in an exciting time in Texas while the market remains strong. With interest rates starting to tick up, I believe there is only so much time CAP rates can remain at this historic low. Are you heading to ICSC Recon Las Vegas this year? If so, shoot me an email, TLepore@RubiconRep.com, and let’s sit down to discuss where you see the market trending and how we can achieve your goals before the correction comes! Today marks the end of my first week with Rubicon Representation in Dallas, TX. I was brought on to spearhead the new Retail Investment Sales Team and piggyback off the momentum my colleagues already have going. I am very excited about the transition over here and look forward to hitting the ground running! Click to the “What I’m Working On” tab to view more on our firm. Which Retailers Will Take Over Toys”R”Us Stores? Is Retailmageddon Impacting Shopping Centers? The looming Toys “R” Us D-day is upon us. If you read my previous post, my thought process has changed drastically. Big box retail is an interesting market these days and we are seeing a drastic shift in the overall approach to these spaces throughout the country. Aldi And Kohl’s: Strange Bedfellows Or A New Era Of Retail Partnerships? Kroger’s $400M offer gets rejected, what’s next? Some of these articles may only be available for a limited time and may require registration to view. Marcus & Millichap and Tim Lepore are not affiliated with these organizations. The Amazon effect is back in full swing this week. After Jeff Bezos was announced as the richest man in the world earlier this week, things are again on the upswing for Amazon. The Amazon Effect: What Would Happen to Apartment Rents if Your City is Picked for HQ2? After A Promising Year, Can J.C. Penney Meet Expectations In 2018? While mattress giants such as Mattress Firm close their doors to hundreds of stores, online retailers like Casper are coming in hot. With a cutting edge concept and 15 pop-up locations coming this year, my bet is that Casper will have a location in Knox-Henderson before 2018 comes to a close! The biggest news this week stems from the Albertsons/Rite Aid merger. After the Walgreens merger fell through back in September, 2017, this is big news for the grocery giant. A merger of this size, “The integrated company will operate approximately 4,900 locations, 4,350 pharmacy counters and 320 clinics across 38 states and Washington, D.C., and service more than 40 million customers per week.”, will surely be a game changer for both the pharmacy and grocery industries. This deal is expected to deliver in Q3 or Q4 of 2018. New York – An improving economy and tax changes should help retail sales increase 3.8 percent to 4.4 percent this year, an industry trade group said Thursday. The National Retail Federation’s forecast for 2018 comes after retailers saw the biggest sales increase since 2010 over the recent holiday period. Low unemployment that means more competition for workers, as well as the tax changes, have led several companies to offer bonuses or raise wages. Retailers like Walmart, Best Buy and Lowe’s have done that so far, and more details about how retailers will use their tax savings may come as they report fourth-quarter results. Can Amazon Take Dallas To The Big Leagues? Is Fort Worth ready to shell out $250 million to rechannel the Trinity River for an 800-acre island? As employment rates go up and wages continue to rise, we are seeing more capital going back into the retail sector, especially here in DFW. As investors, we like to see more money being spent as this will increase our tenants sales, our rents, and ultimately bring a higher sale price when the time comes. Our clients are asking, are shorter term leases better because of this? Is now the time to sell? Should we restructure and hold? Give me a call and I will walk you through what we think the short-term holds for investors! As January comes to a close, we have seen a solid run for retail thus far in 2018. DFW is off to an incredibly hot start this year with a ton of expansion either under development or with Texas Sized plans to get underway! Toys “R” Us, a gloomy day indeed. A lot of childhood memories come from Toys “R” Us, from running through the aisles pretending I was on “Nickelodeon Super Toy Run” to just going to look at bicycles. While these store closings are not surprising following their filing for Chapter 11 bankruptcy back in September, they are for the best. The toy giant is set to close 180 more stores following their closure of the iconic Times Square location back in 2015. 180 stores is about 20% of their locations, with 1,600 total today. Q3 sales fell by 7% in the US and they realized a net loss of over $862 million in the first 9 months of 2017. My personal opinion, these closings will help Toys “R” Us bounce back, maybe not to where they were but progress forwards nonetheless. While big box retail as a whole is down due to online shopping, there is nothing like the feeling as a child going to pick out a special toy for your birthday in person. Being from Boston and having lived in Manhattan for a few years, I think that NY, NJ, MA are all terrible decisions for different reasons. I understand the logic behind them, however, all 3 are far too overpopulated, the 4 airports (6 if you include CT and RI) between them cannot handle the amount of foot traffic that Amazon will bring/need, and beside the MTA, the other public transits are simply not reliable enough to handle 50k more people. Dallas, Miami, and Washington D.C.
Cons: Building heights due to the height restriction laws; shipping ports (Potomac is a pain); not much area to build downtown. The new tax law holds favorable prospects for commercial real estate. Use the link below to see what Marcus & Millichap’s John Chang has to say about these changes and how they will affect you and your investments! What is the future of retail? Is it dying? Is it prospering? Many of the articles we read (especially this week) point towards brick and mortar stores going out of business. Walmart abruptly closing 63 stores on Thursday makes a strong case for this theory. My personal opinion is that retail is here to stay. While shopping malls may not be flourishing, smaller strip centers are popping up all over. Big box shadow anchors are exceeding expectations and national credit is not shying away from the Collin and Dallas county push. 2017 was a huge year for Retail in DFW and Texas as a whole. We saw CAP rates start to level out for the first time in 18 months as interest rates began to tick upwards. 2018 will surely bring a lot of change. I am excited to see what is in store for the Retail market here in North Texas.